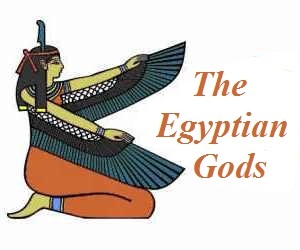 This article contains fast, interesting, fun facts about the ancient goddess of Egypt for research, schools, students and kids providing an insight into the lives and religious beliefs of the ancient Egyptians. This ancient Egyptian deity was revered as a goddess of fertility during the early period of ancient Egyptian History. She was mentioned in the Pyramid texts (2350 to 2175 B.C.) of the Old Kingdom that state "I am Praise; I am Majesty; I am Bat with Her Two Faces; I am the One Who Is Saved, and I have saved myself from all things evil." The Pyramid Texts were written exclusively for the kings during the 'Age of the Pyramids' and inscribed on the walls of five pyramids at Saqqara, the ancient necropolis of Memphis in Lower Egypt. The five pyramids at Saqqara with Pyramid texts are those of the Kings Unis of the 5th Dynasty, and King Teti, King Pepi I, King Merenre and King Pepi II of the 6th Dynasty. 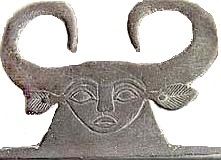 This ancient deity was a 'cow goddess' of Egypt often depicted with a stylized human face with cow ears and horns (see above picture). 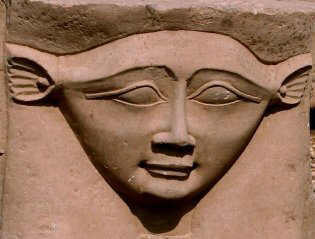 The most famous cow goddess of ancient Egypt was Hathor. By the time period of the Middle Kingdom her identity and attributes were subsumed (meaning absorbed) with the goddess Hathor. Her symbols also include depictions of the ostrich feather, a symbol of creation and light. The ostrich feather is also the most potent symbol of the Goddess Ma'at, who was also first mentioned in the Pyramid texts. One of the roles of Bat was possibly as as a guardian of the Spirit of Ma´at. 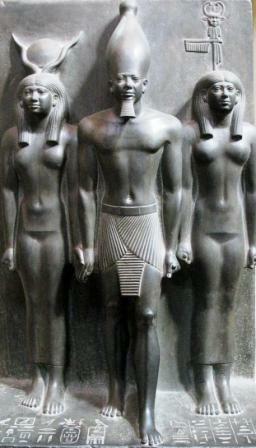 The Spirit of Ma´at was strongly associated with the law of ancient Egypt. Every Egyptian was duty bound to adhere, preserve and defend the Spirit of Ma´at and the Pharaoh was perceived as the guardian of Ma´at, without whom Egypt would descend into chaos. In ancient Egypt horns were a symbol of protection and in the Headdress (crown) of Bat the Feather of Ma'at is surrounded by protective horns. As a goddess of fertility she is often portrayed as a naked woman. Like most cow goddesses she was also had celestial connections with the stars. Facts and information about Bat for kids with some amazing, cool and quick information about ancient Egypt and Egyptians. These fast interesting facts about Bat are ideal for children, homework, schools, teachers and kids of all ages. 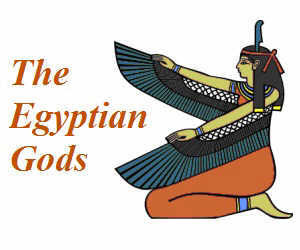 Learn about the ancient Egyptian goddesses the fast and easy way via the Bat goddess Fact sheet. She was the chief goddess of Seshesh of the 7th nome of Upper Egypt. Seshesh was known as the 'Mansion of the sistrum'. The chief city of Seshesh was called Hu or Diospolis Parva, meaning the City of Sistrum. One of her symbols was therefore the sistrum (later associated with Hathor). The sistrum is an ancient musical percussion instrument, a sacred rattle used in various ancient Egyptian ceremonies. She was viewed as the goddess of music which associated her with joy, pleasure, lust and, in turn, fertility. The Narmer Palette (see picture below) is a slate carving that was discovered in Hierakonpolis: The 'Narmer Palette' was an extremely important archaeological 'find' in 1897 and contains some of the earliest hieroglyphic inscriptions ever found. 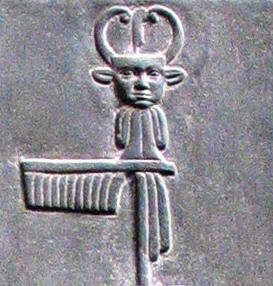 In the Narmer Palette, King Narmer is depicted wearing an item on his belt on which the goddess Bat appears to be depicted, whilst an images of the goddess adorn the top of the palette itself. The inscription in the Pyramid texts "...I am Bat with Her Two Faces..." supports the theory that it is Bat and not Hathor who is depicted on the ancient Narmer pallette. Her prominent presence on the Narmer pallette associates her with the unification of Upper and Lower Egypt. 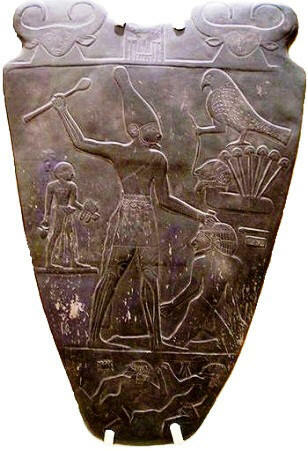 King Narmer (aka Menes) is credited with founding the first dynasty of kings and the unification of Egypt. The ancient Egyptian goddess Bat was totally assimilated with Hathor by the period known as the New Kingdom.